Buy Mouse and Weens a Coffee. ko-fi.com/mouseandweens - Ko-fi ❤️ Where creators get paid by fans, with a 'Buy Me a Coffee' button. Sisters from So Cal want to make you laugh about everyday life & break down barriers about how women "should" be. Weens works on film sets, but writes plays, movies, commercials & music on the side. Mouse just wants to get her sister out of the crazy 14-hr days to let her live her creative life! We appreciate you, your support, & want to be friends! Love is all we need...& a few cups of coffee! Secured Payments. 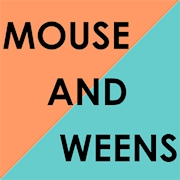 Support goes to Mouse and Weens's account. Upgrade Mouse and Weens to a yearly Gold Membership with a one-time payment.